Augusta Prep Day School in Martinez, GA is having a 5K run/walk where 100% of the proceeds will be donated to the NHRC, the Natalee Holloway Resource Center to help parents with missing persons. Beth Holloway will be attending the event, taking part in the 5K run/walk and speaking to the student body and parents the day before. Beth Holloway will discuss Internationals Safe Travels. Come one, come all for this 5K run/walk and give to a great cause. 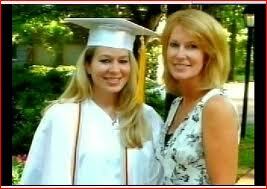 Natalee Holloway went missing in Aruba in May 2005 while on a high school trip. To date, the three primary suspects, Joran Van der Sloot, Deepak Kalpoe and Satish Kalpoe, who were last seen with Natalee Holloway leaving Carlos N’ Charlies have never been tried for her abduction, disappearance and murder. Joran Van der Sloot has since been tried and found guilty and sentenced to 28 years in the death of Stephany Flores in Peru. We all remember the tragedy when Natalee Holloway disappeared in Aruba on her high school trip in 2005. Everyone in America shared the pain of Natalee’s family. Her mother, Ms. Beth Holloway, channeled her grief into helping other families looking for their missing children by establishing the Natalee Holloway Resource Center (NHRC) to assist families and to raise awareness among teenagers about the dangers of international travel. Augusta Prep is hosting a 5K Fun Run/Walk – “Running for Justice – Natalee Holloway 5K” to raise money to contribute to this great cause. We will donate 100% of the proceeds to the NHRC. The 5K is scheduled for Saturday, February 25th, 2012, at 10:00am, on the Augusta Prep cross-country trail. We are combining our passion for running with our desire to help this great cause and to raise awareness in our community about safe international travel. Beth Holloway has done a tremendous job in searching for answers and justice for not only her daughter Natalee, but also for the missing loved ones of others. Beth has become a voice and advocate for the missing and a resource for parents for those who plan on their children traveling abroad. We are asking for your help in sponsoring the 5K. Sponsors are people who donate to the run, and, therefore, to this worthy cause. The sponsor levels are listed below. We hope we can count on you to sponsor by goods,services, or a simple donation. We appreciate your your support more than you can know. Page 200: My child. My beautiful daughter. I can’t save her. It’s too late. Natalee is gone. And second to the great tragedy of losing her is if we fail to learn from what has happened. I could be any parent in the world. And no parent should ever go through this experience. Natalee could be anyone’s daughter. And in these thoughts a new path is made clear. There is something I can do. Many people reached out to us, and I can now reach back to them. It might be too late to save Natalee, but it’s not too late to save others. And it’s time now to make good on my pledge it’s time now to make good on my pledge to stand before high-school and college students, law enforcement professinals, victims’ rights groups, travelers of all ages, and anyone interested in personal safety to share Natalee’s story and our hard lessons, so that others might learn from them. WASHINGTON — The mother of a Mountain Brook, Alabama, teen who disappeared five years ago in Aruba is opening a resource center to help families of missing persons. The center will launch on June 8. Thank you Scared Monkeys for posting this!!! I’ve been following your site since June of 2005 and sometimes its is a bit of a downer that there is so little about Natalee. I know that is because the trail is now cold and there is little news. The sporter has moved on to his new home and the rest of them got away with their crimes – but God knows! Let us never forget the injustice done to this young lady and her family by both the perps and a corrupt justice system on the island of Aruba. Let us remind them every chance we get. Let us remember the good things said of a young lady with a promising future, and pray for the continued healing of her family’s wounds. She is still working to help parents understand the dangers associated with young people traveling outside the United States without proper adult supervision. A high school graduate or college freshman, while considered an adult for voting purposes are a long, long way from being a responsible adult. …. Also, Holloway warned that travelers should activate international calling on cell phones before leaving, keep travel itineraries secret, don’t overindulge in alcohol, never leave a drink unattended, be aware of surroundings, and make a plan with friends to meet up at a specific spot at a specific time before leaving any location. “You are your own best protection,” Holloway said. To help families of missing travelers, Holloway partnered with the National Museum of Crime and Punishment to create the Natalee Holloway Resource Center. The center provides action plans, missing poster templates, contacts, resources, and submits press releases. Holloway will remain in Martinez until Saturday to take part in the Run for Justice 5K, a fundraiser for the NHRC organized by Augusta Prep students Maggie McLeod, 18, and Amanda Murphy, 17. I got to see her speak earlier this month in Boca Raton, Florida at the Aid to Victims of Domestic Abuse Luncheon. She is such a sweetheart! I can’t wait to bring her to my college! I was hoping by now that the Augusta Prep and/or NHRC website and/or an online publication would have provided an update in regards to Sundays Walk/Run NHRC fundraising event. As far as I can determine … it has yet to happen. However … my DIL and I did learn through a contact on Sunday that the event was an overwhelming success. 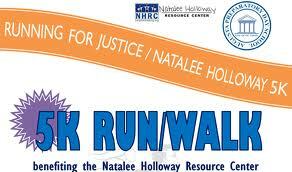 Over $8000 was raised and more than 250 participated including Natalee Holloway’s mother. One hundred plus volunteers also turned out to assist. There were many friends and families of the students on the sidelines cheering on the participants. Once again Scared Monkeys came through big time for Natalee Holloway. A Hero is someone who puts others before himself. He or she is very selfless and cares about the well-being of others. Heroes also accept life’s challenges and remain strong through tough times. They also have a strong sense of determination and stick to goals and morals. I believe that heroes uphold morals and try to encourage others to live life morally correct. Heroes are not only just people called in times of physical danger, but individuals that can both emotionally and physically help people get through rough times. A hero should always show respect for other people as well as respect for himself. I am sooo jealous. It is my hope that Beth Holloway has a speaking engagement in the Seattle Washington area or the Vancouver BC area. I will be there. Her book LOVING NATALEE is a source of ongoing encouragement and inspiration for me. On February 25, 2012, Augusta Prep sponsored a 5K race to raise money and awareness for the Natalee Holloway Resource Center. On Friday afternoon, Natalee’s mother, Beth Holloway, came to Augusta Prep and spoke to the Upper School students and faculty. Her powerful testimony moved the audience and emphasized the need for safety while traveling abroad. At 10 am on Saturday morning, approximately 230 runners participated in the 5K race. The race raised over $8,000 for the Resource Center.